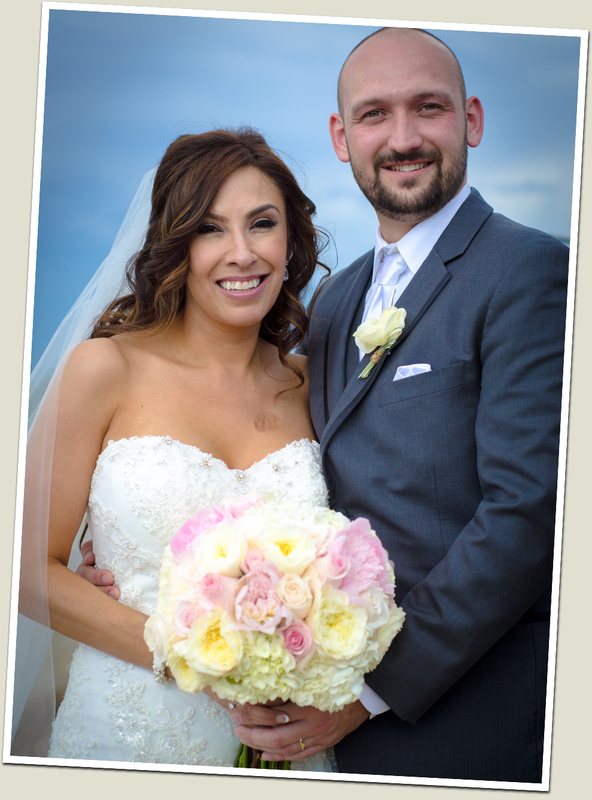 Setting: Windmill Farms & Vineyard provided a great backdrop for their wedding. Claudia’s handmade details (a mailbox to hold the cards, an open wine barrel for gifts, a window pane that contained the seating chart, etc.) complemented the setting perfectly. She also added in a few cultural elements like custom maracas that everyone shook during the recessional, hot sauce favors, and of course a mariachi (see my previous post about how awesome they were!). Conditions: Mother Nature definitely was a guest at this outdoor wedding! The day began with temps soaring past 90, then we contended with gusty winds, dark skies and finally rain drops. But through it all the bride and groom were total troopers and despite the conditions we got some gorgeous footage! Funny Moment: You have to watch the preview clip below to see everyone gasp as the officiant drops Claudia’s ring before the ring ceremony. Luckily it didn’t fall between the slats in the deck! The best man’s reaction as he walks away is priceless too!